When Ros Srey Pich was 19, she signed a contract with a recruitment agency that would send her to work as a maid in Malaysia. The recruitment agency, Job Asia, had sourced the teenager from what is now Tbong Khmum province, telling her poor family that she would work under developed-world conditions and earn decent wages that she could remit back home. However, since she flew out of Cambodia—on July 18, 2010—her family has not seen a dollar. Nor have they heard a word from her. “Since she went there, there is nothing. No information on her,” said Lach Seang, a 60-year-old farmer and the father of nine children, including Ms. Srey Pich. Mr. Seang said repeated calls to Job Asia in the months following his daughter’s disappearance yielded nothing. Now, the only contact number he has for them is disconnected. “She just disappeared. It is very quiet. No one can help me,” Mr. Seang said. The Association of Cambodian Recruitment Agencies (ACRA) lists Job Asia as a certified member on its website and provides contact details. However, attempts by reporters to phone the company spokesperson, as listed by ACRA, were fielded by a man claiming to be a farmer in Takeo province. 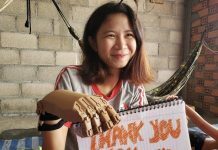 Ms. Srey Pich’s story is not unique. Even as the Cambodian government finalizes plans to resume sending domestic workers to Malaysia, a number of families are still searching for loved ones who went there to become maids but never returned. At its peak, the maid-labor trade saw hundreds of Cambodian women migrating to the Muslim-majority country each month on the promise of increased salaries and favorable conditions. In October 2011, as stories of severe abuse by employers and private recruitment agencies mounted, Prime Minister Hun Sen outlawed sending maids to Malaysia. However, according to Ly Vichuta, director of Legal Support for Children and Women (LSCW), which has assisted scores of Cambodian women abused by recruitment agencies in Cambodia or employers in Malaysia, complaints of lost or abused maids continue to trickle in. From the past two years, LSCW has received 14 cases of missing women that remain unsolved. One of those is Pun Nhanh, a 29-year-old from Prey Veng province’s Pea Reang district, who signed up with T&P recruitment agency to be matched with a Malaysian employer in May 2010. T&P was shut down by the Ministry of Labor in October 2010 on the orders of the Interior Ministry after it was found to have sourced, trained and detained underage girls at its training centers. Ms. Nhanh, however, was already gone. “She called me [in June 2013] and told me her life in Malaysia was bad,” said Pun Phat, the 27-year-old sister of Ms. Nhanh. Ms. Phat said that in telephone calls she told her sister stories of other maids abused in Malaysia and convinced her to return home. According to Ms. Phat, her sister’s boss initially agreed to release her from her contract, on the condition that she would be paid only $1,000 of the $1,900 owed to her at the time. Ms. Nhanh agreed to that deal, but the employer changed his mind. In their next phone call, Ms. Nhanh told her sister that she could not talk. That was the last her family heard of her. 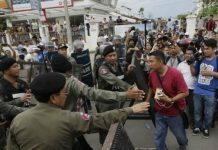 Koy Kuong, spokesman for the Ministry of Foreign Affairs, said Monday that the ministry was cooperating with Malaysian authorities to find missing Cambodians there. “We are searching for them through the [recruitment agencies] that brought them [to Malaysia],” Mr. Kuong said, declining to comment further or on specific cases. In December 2013, the Ministry of Labor, with assistance from the U.N.’s International Labor Organization, launched eight new prakas—or governmental directives—intended to better protect migrant workers by handing greater control of the industry to the Ministry of Labor. Labor and rights groups say that the prakas affords little protection to maids, as there remain close family ties between the owners of recruitment agencies and the officials meant to police them. 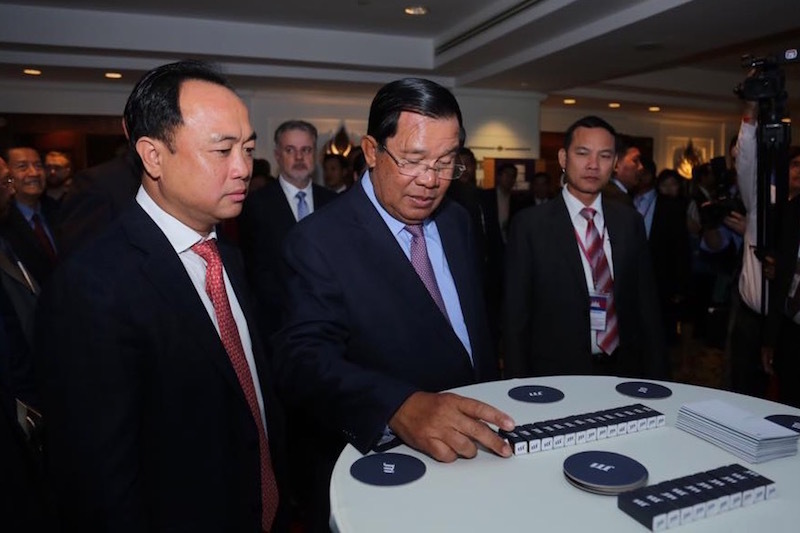 Last month, Seng Sakada, secretary of state at the Ministry of Labor, led a delegation to Kuala Lumpur to discuss a memorandum of understanding that would once again open the way for Cambodia maids to work in Malaysia. 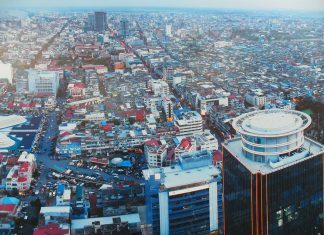 This month, a Malaysian delegation will visit Phnom Penh with hopes to finalize the deal, according to Othsman Hassan, another secretary of state at the Labor Ministry, who said Monday that the MoU would be signed by the end of July. 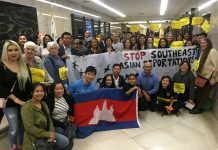 Ms. Vichuta, the director of LSCW who has handled many cases of abused Cambodian women, said via email that past agreements between the two nations, which offered no protection to Cambodian domestic workers, left her concerned. “We believe that if we have a bilateral agreement or MoU between Cambodia and Malaysia, it may have some positive ways to protect and assist the migrant worker. However, it depends on the content of the MoU. I am most concerned,” Ms. Vichuta said. She said that she hopes the government would help bring home the 14 women she is still looking for before any new deal is signed.